Blue Buffalo is one of the leading holistic dog food brands in the US, and for good reason, too. Their natural US-sourced ingredients, pretty healthy nutritional breakdown, and wide variety of flavors make Blue Buffalo one of our top picks for best dog food. 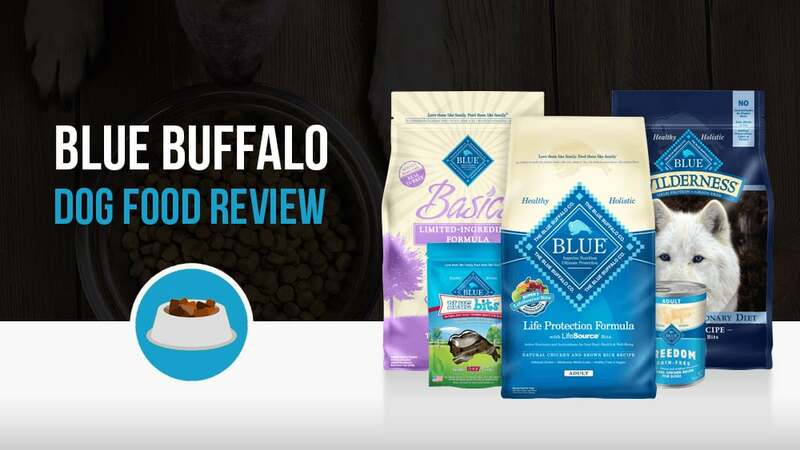 Blue Buffalo’s goal is to make their pet food as healthy, holistic, and natural as possible, and to achieve this they make use of only natural ingredients provided by American suppliers. Uniquely, Blue also got in touch with some of the country’s leading veterinarians and animal nutritionists to create their patented LifeSource® bits, which are found in every bag of food and are chock full of vitamins and minerals chosen specifically because of their cancer fighting properties. To get a better analysis of what’s inside Blue Buffalo Dog Food, we sampled the Blue Buffalo Wilderness Chicken Recipe Grain-Free. Analyzing the first 10 ingredients in a dog food is a great way to understand the overall nutrient content of the dog food because AAFCO requires all dog food ingredients to be listed in order of predominance by their weight. Here’s a closer look at what’s inside Blue Buffalo Wilderness Chicken Recipe Grain-Free. Blue Buffalo dog foods have these little “Life Bits” in each kibble, which are nutrient-packed vitamins and minerals. 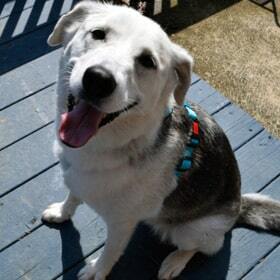 Blue Buffalo has a number of selections meant to cater to dogs of all shapes and sizes, and most of these varieties also come in canned form as well as treats, to make sure that all of your dog’s needs can be catered to. 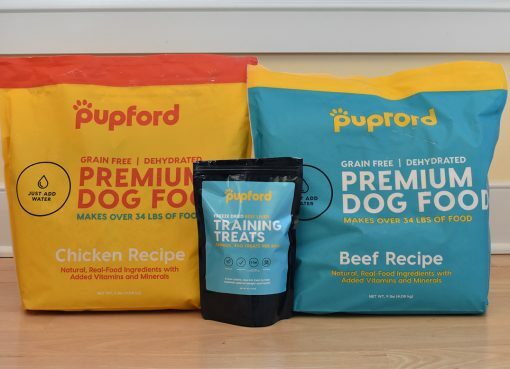 The company also rolls out new lines every few years, adapting the newest breakthroughs in pet science to help make some of the healthiest food on the market and to maintain and improve its cancer fighting edge. Life Protection is the standard Blue Buffalo product, and also the company’s best seller. Life Protection comes in different packages depending on the size and age level of the dog it is aimed at, each adding extra nutrients (glucosamine and chondroitin for larger breeds, for example) based on the animal’s needs. The food also has no animal by-products, corn, wheat, soy, or artificial ingredients in it, making it a good, all natural choice for your four legged friend. Freedom is very similar to the Life Protection line, however the key difference here is the fact that it does not have any grains in it whatsoever. This line is targeted primarily at dogs who may have some food sensitivities or allergies, but it is also a great choice for any who prefer not to give their dogs any kind of grains at all in their diet. Basics is, to put it simply, an amped up version of Freedom, specifically designed for dogs with certain allergies or other food sensitivities. Basics has both grain-free and normal versions, and like the Life Protection all Basics blends are made without any animal by-products, corn, wheat, soy, or artificial ingredients. 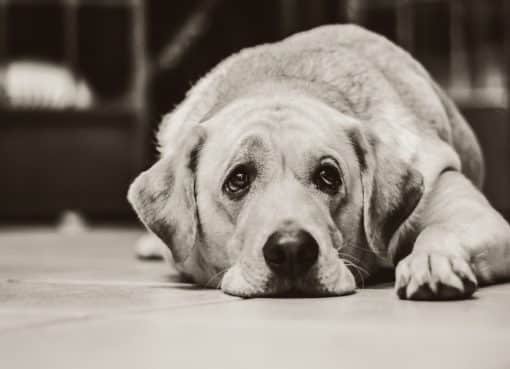 There are also a number of different limited ingredient versions to cater to whatever it is that your dog may need, so you can be fairly assured that whatever restrictions your pup may have, basics will have you covered. Wilderness takes the natural diet to another level, modelling its recipes on the dietary needs of a wolf, the dog’s wild cousin. By looking at a wolf, Blue believes that they can get in touch with our pet’s evolutionary diet, and meet the needs that nature intended for them. As such, all Wilderness varieties are high protein and grain free, focusing heavily on the meats that go into it as the primary source of nutrition. Blue’s newest entry, Earth Essentials is based on farm to table recipes intended to provide your pets with a natural, fresh meal that meets and exceeds their dietary needs. Unfortunately for those who are against grains, it seems that these factors prominently into most Earth Essential recipes, but rest assured! The grains selected are only the most easily digestible ones available for your dog, and they were chosen specifically because of the benefits that they might be able to add to the food. The Natural Veterinary Diet is only available through certain veterinarians, and requires a prescription in order to purchase it. This line is available with Gastrointestinal Support, Hydrolyzed Dry Food for Food Intolerance, and Weight Management and Urinary Care formulas, and is intended to be sold to pets with severe food sensitivities or with health problems that require a special diet. Blue Buffalo products are made in accordance with one simple credo: “Love them like family, feed them like family.” To this end, Blue Buffalo tries to create only the highest quality products using natural and healthy ingredients in every bag. Blue Buffalo is also highly proactive in the fight against pet cancer, getting involved in community events around the country and sponsoring a pet cancer awareness week which raises money each year to study and fight the disease. Blue Buffalo was founded in 2003 by Bill and Jackie Bishop after the passing of their beloved Airedale Terrier, Blue. Blue had been diagnosed with cancer a few years before, prompting the Bishop family to begin researching animal nutrition to see how it is linked with certain kinds of cancer. To this end, they created the Blue Buffalo pet food company, as well as the Blue Buffalo Foundation for Cancer Research to help keep our pets as healthy as possible and pioneer cutting edge methods for battling the illness. 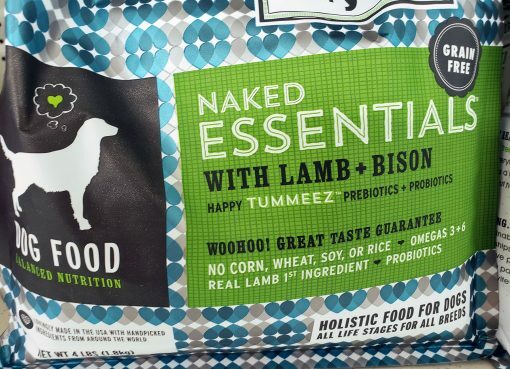 Sadly, after several bouts, Blue passed away, but the Bishops keep his memory alive by providing a product that prides itself on being a high quality, anti-oxidant packed food that will help all pets grow as healthy and happy as possible. Blue Buffalo can be found in almost every major pet food retail location, as well as a number of smaller stores. Don’t expect to find it on the shelves of your local supermarket, however! Additionally, pet owners can order directly from the company’s website, or even through websites such as Amazon.com and other online pet food sites. As mentioned earlier, the Natural Veterinary Diet will require a prescription, and as such often might only be available through a veterinarian or a specialty store that caters to these kinds of food, for example a PetSmart with a Banfield Pet Hospital. I have read numerous reviews, complaints and comments about ‘lead’ in Blue Wilderness Adult Dry Dog Food. Please let me know more about this and if I need to be worried? I realize there may be a certain amount of natural occurring lead but the information I have recently read says the lead content is way over what is deemed ‘safe for consumption’…..
My boston terrier was not feeling well for weeks. Bad gas, and trouble pooing. Gave him some Blue Buffalo Chicken and Brown Rice , saw some green stuff in the food. Looked into the bag and there were numerous clumps of mold. Called company, lady essentially said has never happened before, can’t be our fault. Yikes! Did you call Blue Buffalo or the company you purchased from? It very well could have been an issue with storage conditions at the retailer.